Josh Thompson hurt himself within the past week, and tests revealed foot injury that left him unable to complete his training camp and compete. Due to foot injury, Josh Thomson withdrew from his Strikeforce bout against Maximo Blanco this September 10. The Josh Thomson vs Maximo Blanco match was slated as a main card for the promotion’s upcoming event in Cincinnati that will feature Heavyweight Grand Prix fights. The said grand prix will feature a Josh Barnett vs Sergei Kharitonov and Antonio Silva vs Daniel Cormier matches. Strikeforce officials could not immediately disclose whether they will seek a replacement for Josh Thomson against Maximo Blanco. After Antonio Silva stepped his big foot on the Fedor Emelianenko's career, MMA's top 10 heavyweight ranking has been revamped. See where these two fighters stand now. 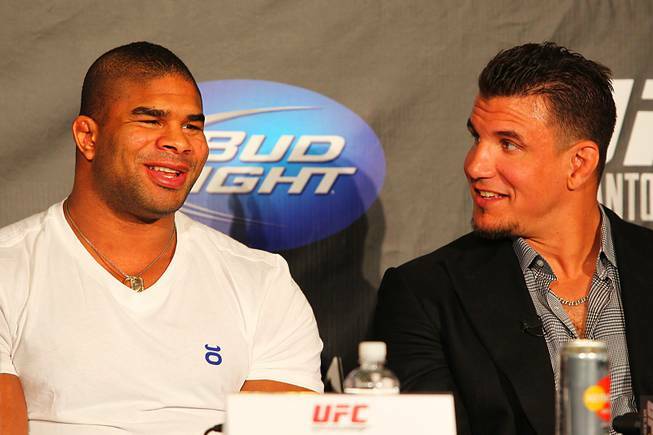 After Strikeforce’s Heavyweight Grand Prix, rankings of MMA’s top 10 heavyweight fighters has been revamped. And based on Heavy.com’s ranking, this month’s biggest mover is Antonio Silva. Fedor Emelianenko, on the other hand, is no longer on the list. Back in 2005, Antonio Silva was tapped as the fighter that has the tools and size that can defeat Fedor Emelianenko. And on February 12 of this year, the former proved the people right. Antonio Siva’s stock went over the roof as he dismantled the Russian Emperor in Strikeforce’s Heavyweight Grand Prix. Now, his star is on the rise, while Fedor Emelianenko is on the verge of fading away. Visit Heavy.com for the complete MMA heavyweight top 10 ranking. The Strikeforce and M-1 Global: Fedor vs. Silva will be seen once more this Wednesday. Get ready to watch how Silva took over Fedor. If you haven’t watched this weekend’s “Strikeforce and M-1 Global: Fedor vs. Silva” event, worry not, for it will re-air this Wednesday on Showtime Extreme at 10:30 p.m. ET/PT. The event took place last Saturday at the IZOD Center in East Rutherford, N.J. and was aired on Showtime via same-day delay. 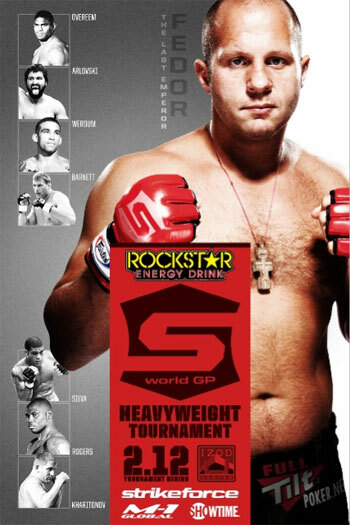 The event featured the opening of Strikeforce’s eight-man heavyweight grand prix. The opening-round was packed with extreme fighters, Fedor Emelianenko, who took on former EliteXC champion Antonio Silva. UFC titleholder Andrei Arlovski met Sergei Kharitonov as well. Antonio "Bigfoot" Silva went out of the cage holding his ticket to the Strikeforce World Grand Prix Heavyweight Tournament ---a TKO victory over Fedor Emelianenko. This weekend, the Strikeforce: Fedor vs Silva concluded. 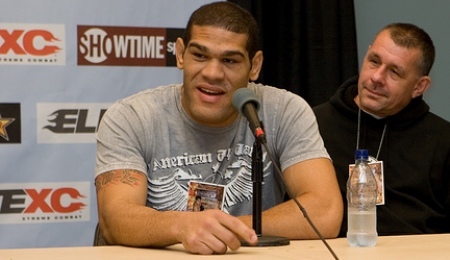 Antonio “Bigfoot” Silva was declared the heavyweight winner. Silva, also known as “Pezão” in his home country of Brazil, defeated Fedor Emelianenko by TKO. 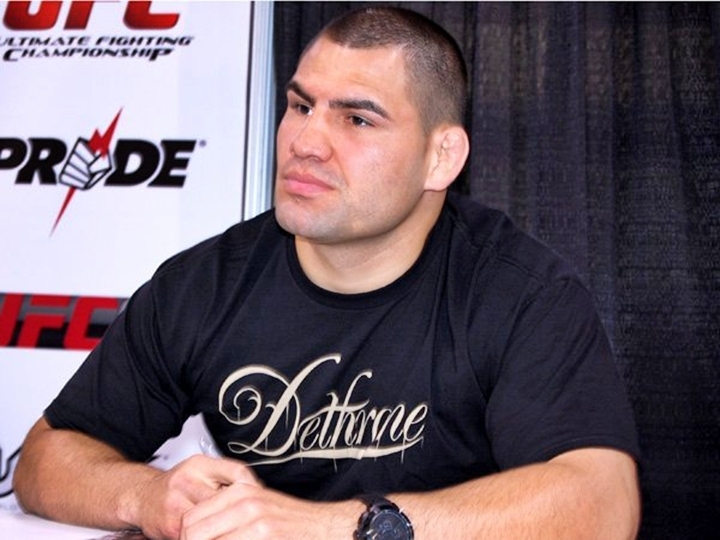 This victory advanced him to the semifinals of the Strikeforce World Grand Prix Heavyweight Tournament. A big step for the “Bigfoot”. Watch his interview after the cut. A smashing success for Strikeforce Grand Prix Fan Experience last Tuesday! People of the NYC will surely have an afternoon that they will never forget. Just a couple of hours before doors open for the Strikeforce Grand Prix Fan Experience last Tuesday, a queue of MMA followers began to form outside the Roseland Ballroom in New York City. Once inside, fans jammed into the venue and was treated to a remarkable afternoon. All fighters who will compete in the highly anticipated Strikeforce World Grand Prix — Heavyweight Tournament were present in the event. They signed autographs, answered some questions from last night’s emcee, Scott Ferrall, and posed for photos. Other than the fighters, fans were also able to grab photo opportunities with the Rockstar Girls, watch fight videos on giant television screens and take home tickets, T-shirts and Strikeforce fight gear giveaways. 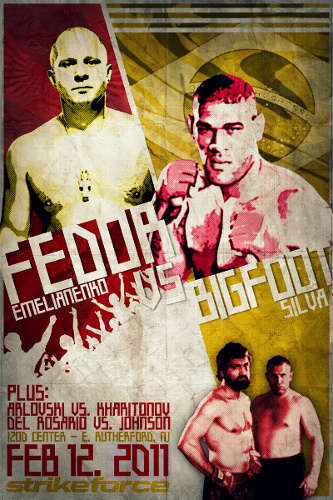 Stepping inside the cage this Saturday, Fedor Emelianenko will face Anderson "Bigfoot" Silva in Strikeforce's eight-man, World Heavyweight Grand Prix. Can the Russian Emperor redeem himself after his past stunning submission loss? 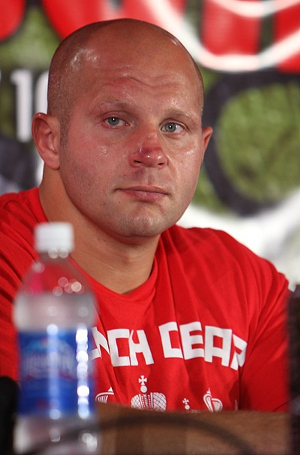 As of the moment, Fedor Emelianenko is in an unfamiliar situation. He will step inside the cage against Antonio “Bigfoot” Silva on Saturday night in New Jersey, carrying a submission loss from Fabricio Werdum. 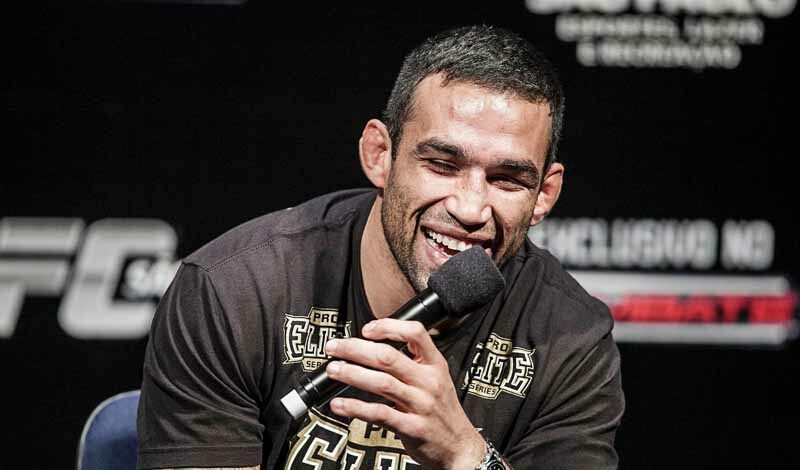 Stunning the mixed martial arts world, Fabricio Werdum submitted the Russian Emperor last June. 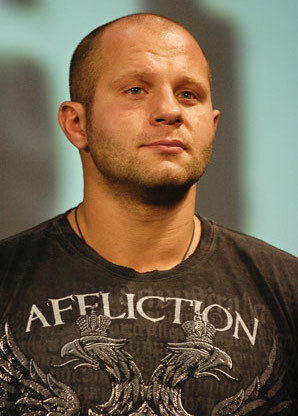 Hence, Fedor Emelianenko will make a comeback and will try to regain his dominant ways after Strikeforce and Showtime kept him out of the cage. His fight against Bigfoot is one of the first two quarterfinal bouts in Strikeforce’s eight-man, World Heavyweight Grand Prix. After the skip is a short video special for Fedor Emelianenko that Showtime produced en route to this weekend’s event.